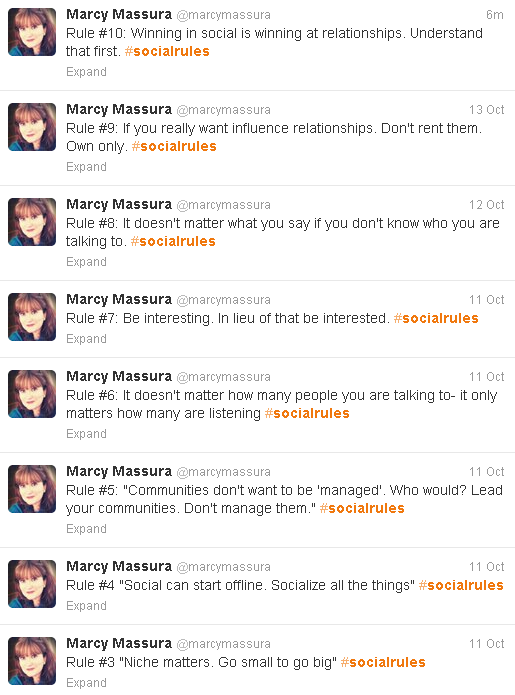 So I give you my new Twitter series #socialrules. Follow me here @marcymassura if you want to see where this goes….and feel free to contribute by tweeting with your own #socialrules! Please share your thoughts with me. 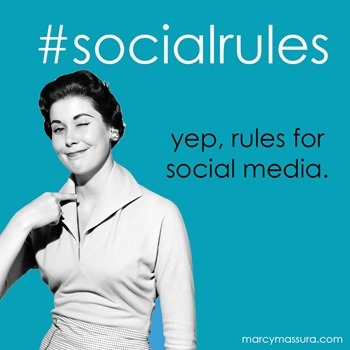 Either here or on Twitter.